Olney Baptist Church, also known as Sutcliff Baptist Church holds its main service of the week on Sunday at 10.30am lasting just over an hour with coffee and fellowship afterwards. There is also an evening service at 6.00pm. "Sunday Club" and "Gigg" are activities for the children and youth and these are held during the morning service. A creche is also available for young children. Communion services are usually on the evening of the first, and the morning of the third and fifth Sundays of the month. Visitors are most welcome to attend the Sunday services. 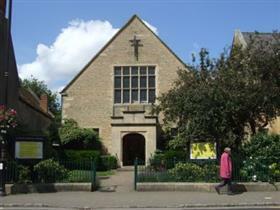 The Church is located on the Olney Market Place near the pedestrian crossing. Sundays at 10.30am or 6.00pm.